Balancing the most technical concepts with practical everyday issues, DATABASE COMMUNICATIONS AND COMPUTER NETWORKS, 8e provides thorough coverage of the basic features, operations, and limitations of different types of computer networks--making it the ideal resource for future business managers, computer programmers, system designers, as well as home computer users. 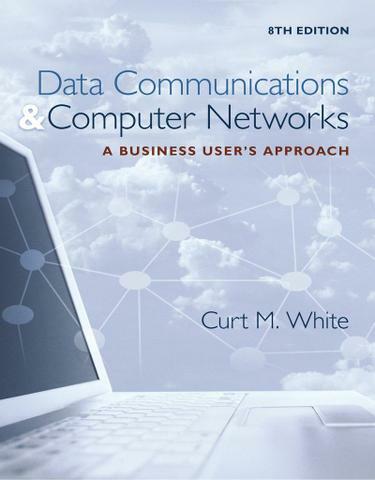 Offering a comprehensive introduction to computer networks and data communications, the book includes coverage of the language of computer networks as well as the effects of data communications on business and society. It provides full coverage of wireless technologies, industry convergence, compression techniques, network security, LAN technologies, VoIP, and error detection and correction. The Eighth Edition also offers up-to-the-minute coverage of near field communications, updated USB interface, lightning interface, and IEEE 802.11 ac and ad wireless standards, firewall updates, router security problems, the Internet of Things, cloud computing, zero-client workstations, and Internet domain names.